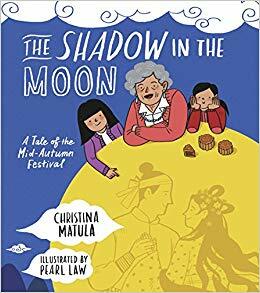 Two young sisters celebrate the Mid-Autumn Festival, admire their mooncakes decorated with a picture of a lady in the moon, and listen to their Ah-ma tell the ancient tale of how the holiday began. The Chinese New Year is a time for family reunions. This Chinese children's story tells a delightful trip with lots of cultural details along the way! Jia Jun's Dad worked out of town all year around. Now it's time for him to come home. He took a train, bus, three-wheeled motorcycle, ferry-boat and even walked for many miles. He finally made it home and had a reunion dinner with his family on New Year's Eve. On his trip, as Jia Jun's Dad was rushing to get home, he lost his apple, water, gloves and scarf, but he took very good care of his gift for his son. During the holiday season, Jia Jun was extremely happy as he was with his Dad all the time. They set off firecrackers, put up couplets and even made snowmen. In a few days, Dad was ready to head back to work, but it was certain that Dad would be home again next year to celebrate the Chinese New Year with his family. The little girl left for school at dawn. On her way to school, she met a little spider, a little squirrel, a little hedgehog and a little panda. They were all afraid of the darkness and wondering if monsters were hiding in every corner. Only the little girl was not scared, because she had a little magic lantern. They held hand-in-hand so that nobody would be scared. When Little Mo picks up a small bamboo stick from the bamboo forest, she has no idea that it will eventually lead to one of China's most significant inventions. In this children's story the stick comes to life to help in the kitchen. The little bamboo stick helps Mom pick out vegetables from a bowl of hot soup, helps Little Mo to eat the remaining rice in her bowl, and helps Dad to stir eggs. The stick soon learns it has limitations, unable to easily pick up noodles from a bowl. Little Mo quickly solves this problem by finding another bamboo stick to join the team. As a duo, the stocks can cut buns in half and pick up pork dumplings without any difficulty. Her dad then gives them the name "chopsticks" and improves upon their design.